The Stocks will be a feature of our medieval festival and you should be able to see them around the village throughout the event. Have a go! We’ll even let you out for a s mall fee. Actually, what many of us think of as Stocks, where you were restrained by your hands is wrong. 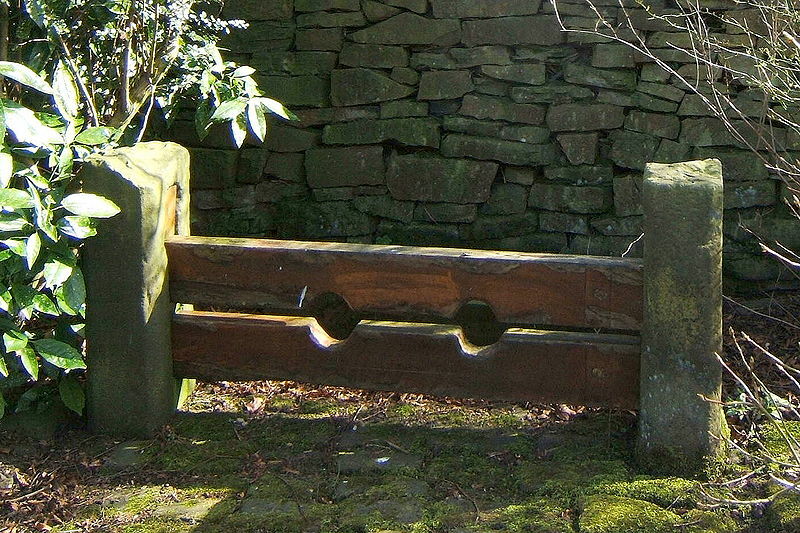 Stocks were a restraint device used to humiliate wrongdoers by securing their feet and were used right up until 1872. The punishment where you were constrained by your hands is actually a Pillory. This was a far harsher punishment than the stocks where you could at least sit down to be humiliated. The pillory was much more uncomfortable. The pillory was used in British prisons until 1837 when it was formally abolished as a form of punishment.